Question Proposed on LinkedIn: What would you guys say is “THE” most important current trend in resume writing? – The résumé as niche marketing document. By that I combine two (2) aspects together– 1) the USP as a distinguishing feature (usually in the Profile); and 2) customizing the résumé to the particular open position. I think this is significant as it favours those with self-promotion and writing skills (or those who can hire them) over those who lack them. It disadvantages older long-tenured workers who are good at their job but poor at personal branding. And exacerbates the whole job-goes-to-the-guy/gal-who-can sell-themselves thing. – I wouldn’t say personal branding and niche marketing are new trends, although more job seekers are realizing they are necessary vs. even 5 years ago where you generally saw them only at the executive level. It’s hard to talk about just one trend – each client is different and depending on their career level, goals, industry, etc the approach and techniques could be very different. One “trend” that I see and really dislike are clients trying to write to ATS filters vs. humans. Yes, it is likely that you may encounter some tracking systems, but always write your resume to be engaging and resonate with a human reader! – I think branding and niche marketing are newer trends below the executive level–and for the clients I support–getting past the ATS filter is the only way you get a human being to see your resume in companies with the apy and benefits options that makes “career” instead of “just ajob” even possible. – We agree – that’s exactly what I said about niche marketing. I’m not saying we shouldn’t write to get past ATS filters – just that it should not be the only goal. The resume must be readable by the human that will see it once it gets past the filters.. and I see many resumes that lose sight of that fact. Keyword optimization can go too far. – So maybe “Keyword optimization” – possibly in a negative way – could be one of the latest trends. Candace, I have not come across a resume of my clients where that went “too far”. Could you elaborate? – Imagine a bad SEO article – infused with keywords to the point that it is no longer pleasant to read. Yes, I have seen resumes like that with the goal of getting past ATS filters. I think we can all agree that less is generally more with language – clear, concise, engaging. Keywords need to be included (and if you do a good job of demonstrating that the client is qualified, that comes almost naturally) but not overdone. – Candace I could not agree with you more. Key word strategies that compromise human readability might work once in awhile, but so might writing in crayon on a napkin. I’ll take my chances writing for a human audience any day of the week. – Grace, are you talking about plain text versions of resumes? That is something that we suggest clients use for copy and pasting into online formats – the ATS filters can not read bullet points and traditional word formatting. It’s not a replacement for a properly formatted resume, just for use in online submissions. Hope that helps. Gayellen, there are 1000’s of opinions on ATS filters and no fool-proof answer. Each company or recruiter can set their own requirements in the software, so it varies greatly. In the end, it is best to make sure you actually meet the job requirements (if it requires a Masters Degree, make sure you have one) and make sure you have included some industry keywords as you tell your career story. There are some additional tips and tricks, like having a keyword rich core competencies section – but those tactics vary based on career level and several other factors. – I think one of the current resume trends being touted to young professionals, not necessarily by professional resume writers, but by the media, is infographic resumes. While they are eye-catching, I find most of them very busy, hard to read and I doubt if they get past the ATS. I would consider them a nice supplement to a resume, maybe as part of a portfolio, but not as the resume. – I agree, Wanda. And Caro, I think – at least for now – of digital resumes as add-on services. However, what I don’t get with these new trends: Now, we say that a resume has to “deliver” within 10 seconds, due to time/attention span on the receiving end. Then, why would I, as a recruiter, spend additional time with looking at the add-ons? – Tim, more than likely, if the recruiter is looking at the add-ons, they like what they saw in the resume and want to learn more. My clients have “posture” after receiving their new resume because our coaching and their resume has given them confidence that they DO look good on paper and they CAN do the job! Bells and whistles are fine, but I still believe nothing beats a well-written resume that is concise, attractive and results-driven! – Ask recruiters what they think about digital resumes – the response will almost unanimously be that when they are scanning 100’s of resumes, they don’t have the time or patience to deal with an interactive, digital version. Some version of a digital, interactive resume can work well once a client gets past the initial “yes” or “no” screening, like during group interviews, or I recently helped a client prepare an interactive power point presentation for his 2nd interview. – Infographic resumes can work as an add-on, but the response to them is similar to digital. Some are done better than others, but often it’s difficult to quickly pull the most relevant information. Also, because they rely so heavily on graphics, there is not much room for quantifiable accomplishments. ATS filters can’t read them – so no, I don’t think they are the new direction of resumes. I do think the new direction includes adding some visual elements to traditional formats, but I don’t see infographic resumes replacing traditional anytime soon. – I remember a company approaching our Career Center about 5 years ago with a pitch that everything is moving towards video resumes, and that more and more companies are preferring them. 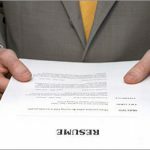 They went as far to say that video resumes would be replacing the traditional resume. Here we are today, with the large majority of companies still requiring you to send your (traditional) resume. As experts, we must be careful to distinguish between trends and fads. – I think it’s not so much of a trend as it is plain ole getting back to best practices, but I think it’s important to do 3 things: 1. Relevant, clear, concise, action-verb driven, quantifying statements of brevity showcasing you bottom-line impact. 2. Buzzwords related to your industry/job to get picked up in the applicant tracking systems. 3. Neatly formatted and eye-catching. The goal of the resume is to get the interview so you can land the job.